📅 August 2018 March 10, 2019 by Bruno B.
Catalonia has a strong mix of culture, architecture and natural beauty that is a shame to be overlooked. There are many convenient Barcelona day trips for all kind of travelers and tastes, including beaches, ski resorts, mountains, medieval villages or amusement parks. Here are my 20 favorites day trips from Barcelona! Although there are a lot of things to do and to see in Barcelona, I can safely say one of the perks of living here is all the different day trips you can do around Barcelona. I’ve picked some of the best 20 best day trips from Barcelona that you can travel independently (no need for expensive tours!). I’ve also added a list of the best beaches near Barcelona further down the bottom. Enjoy! To help you visualise things, this maps contains all the 20 best places for getaways outside Barcelona and I’ve thrown in a few additional ones. Car or public transport in Catalonia? You can get to most of the places covered in this article by public transportation – train, bus or a combination of both. That said, a car is more convenient and will give you extra flexibility to visit 2 or 3 spots in the same day. Some of the beaches mentioned are only reachable by car. I recommend renting a car in Barcelona with the super cool Drivy or with a traditional car rental agency but always compare prices first. I’m pretty sure they will shoot Game of Thrones here someday. 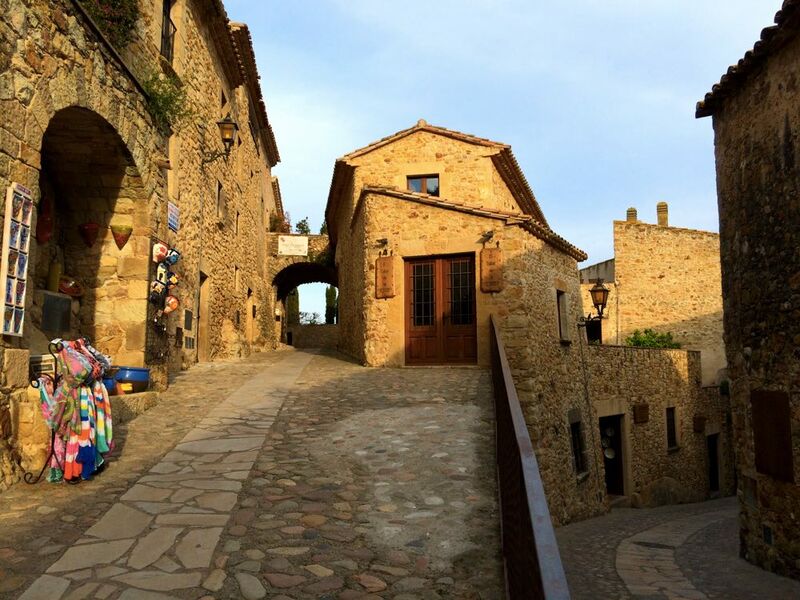 This tiny medieval village inland of the Costa Brava coast was one of my biggest travel surprises in Catalonia. Strolling the streets of Pals is literally a journey into the past and a great place to unwind. I was impressed with the number of stoned balconies, quaint arches and intricate façades all within a maze of cobbled streets. There are many art & craft shops, traditional restaurants and local delicacies available. The whole thing just feels really picturesque. Plus, it stands on top of a hill, so there are great views over the surrounding tranquil Catalonia countryside. Tip: look out for the sunflower fields nearby! The palm-tree Miami-alike promenade in Sitges. 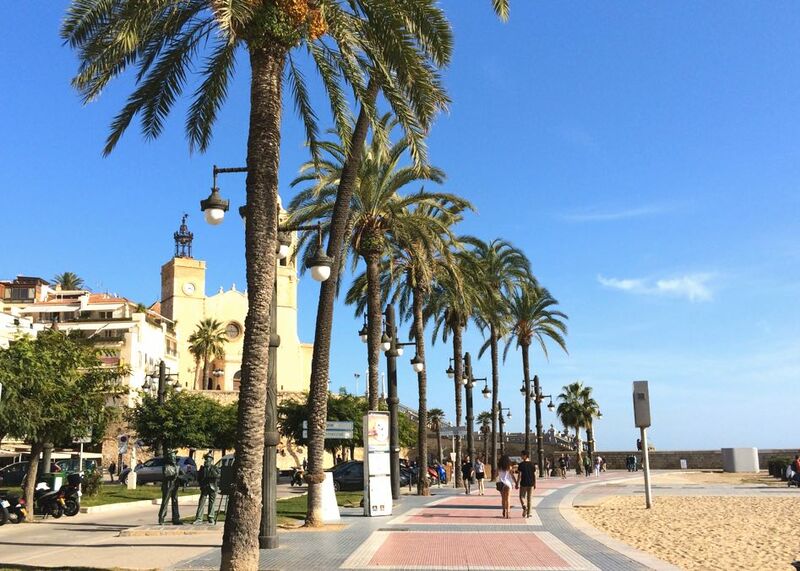 The bohemian and tolerant town of Sitges is a popular getaway for locals and travelers in Barcelona. It’s packed with little places to explore in the winding alleys as well as in the beautiful promenade by the Mediterranean. Although the main beach in Sitges can get crowded too fast, the many smaller ones nearby – calas – are more off the beaten track. I think Sitges falls into the category of one of those nice coastal towns, perfect to relax and recharge energies. There are MANY like these in Catalonia and I’d dare to say even more beautiful. However, this one is the best in terms of infrastructure including cultural offer, shops, restaurants, and hotels. Gotta be honest here: Sitges is far from being my favorite place outside Barcelona – somehow it does not feel as authentic. But I do agree it’s a relaxing day out of the city and if you’re coming during Carnival it makes a great partying getaway. 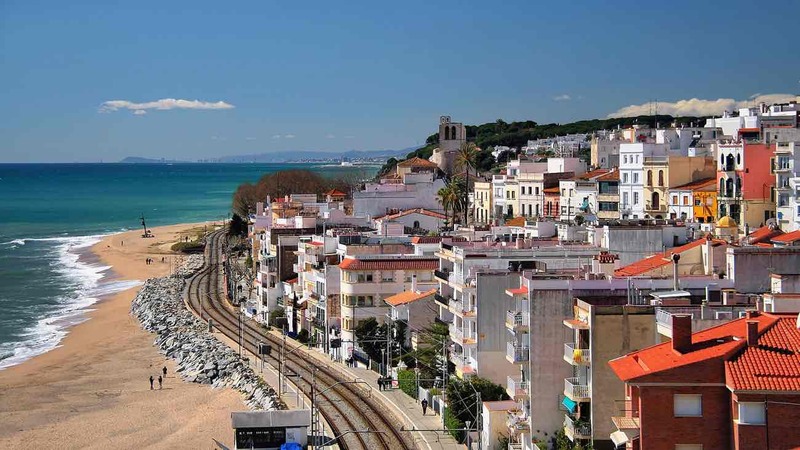 The most convenient option to get to Sitges is by train. You can get there in an easy 35 minute train ride away on the R2 train from Sants or Passeig de Grácia stations. Other options include buses – check Monbus – and driving by the C-32 highway that goes south. Located just an hour-drive from Barcelona, the Penedès wine region is still pretty much overlooked. The epicenter is the town of Sant Sadurni D’Anoia where about 60 companies are based, exporting cava wine to the rest of the world. While it may seem a plan for wine enthusiasts only, a regular person will find a cava tasting and tour enjoyable. 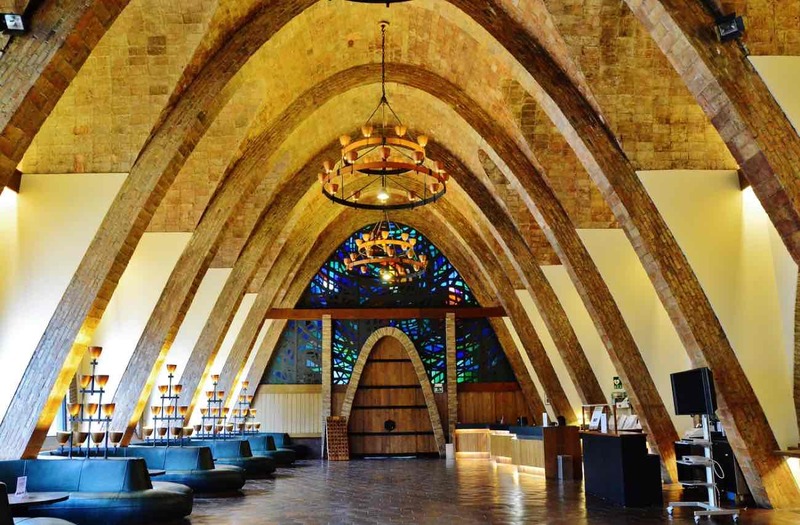 I’ve gone on the Codorníu Visit in Sant Sadurni D’Anoia – one of the main brands of cava in Catalonia – and to be honest, I enjoyed more than I was expecting. Cava is a type of sparkling Catalan wine which is made by adding sugar and yeast to Penedès wine. It’s then stored in traditional bottles to produce a second fermentation. It’s similar to champagne and prosecco in taste, color and number of bubbles. 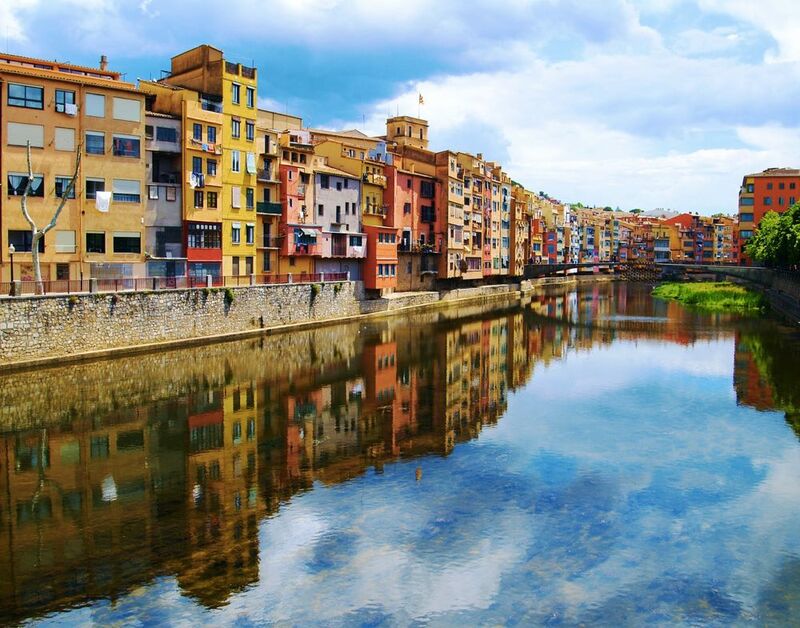 Enclosed between the Pyrenees and the Costa Brava coast, Girona is on the crossroad of natural wonders. 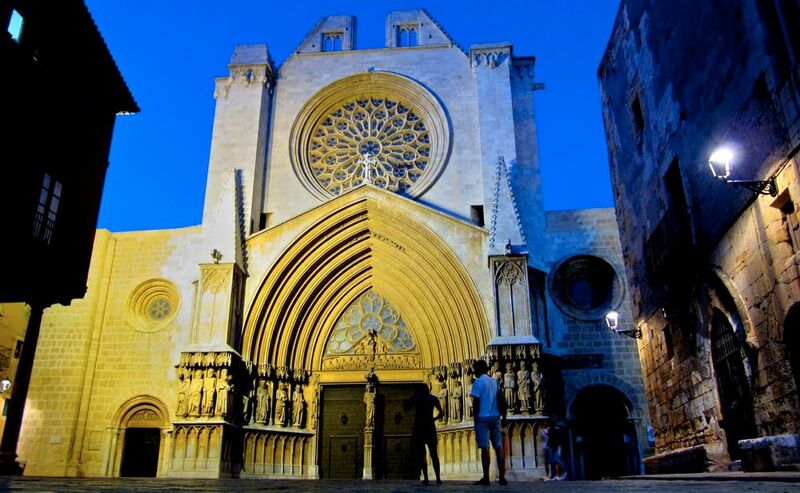 The Jewish quarter in Girona is one of the oldest and best preserved in Europe. Walking around these streets allows you to discover small passageways, garden areas and viewpoints overlooking the city up on the ancient walls. Every turn is a new photo opportunity. It will be one of those places where the shutter of your camera does not stop. Bonus points for Game Of Thrones fans. You will be pleased to know many scenes were filmed in Girona. An added reason to unleash your geekiness! 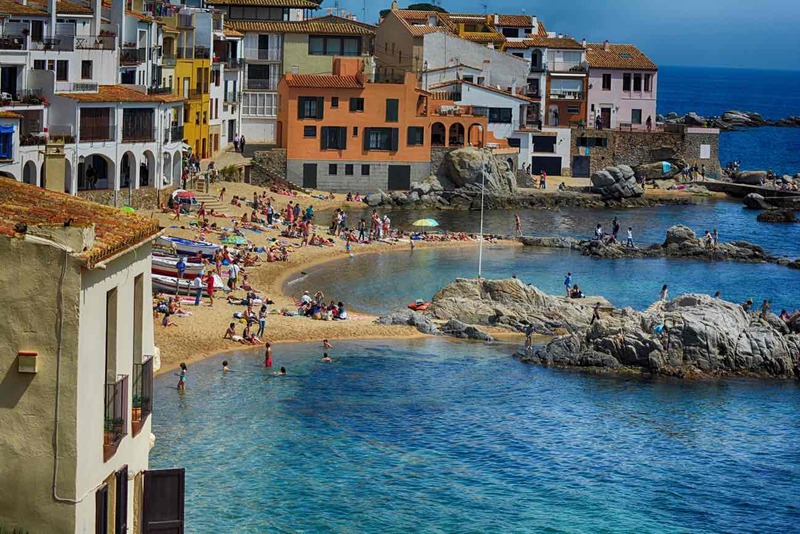 Oozing all the possible charm that Costa Brava has to offer, Calella de Palafrugell is an old fishing village turned beach getaway. Narrow streets that lead to fishermen’s houses in the Port Bo neighborhood. Together with the views of the crystal clear waters of the Mediterranean, this place reminds me very much of Cinque Terre. 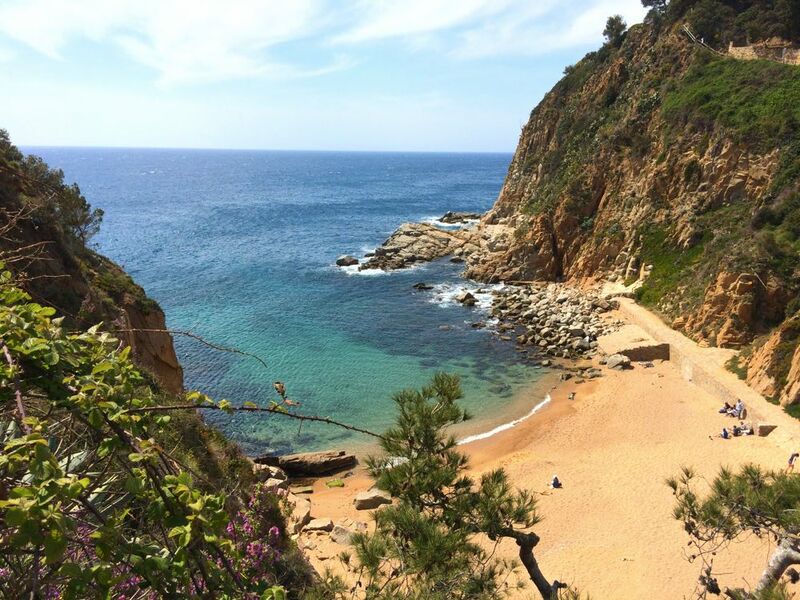 Like in most of Costa Brava, the coastline here is rugged but you can find small coves to relax for an entire day. Many scenic hiking opportunities around – check the Cap Roig botanical garden – or adventure yourself renting a kayak. Looks like a scene take out a movie, doesn’t it? This is suited for nature lovers, but I’m sure everyone will enjoy a visit to this huge natural park. 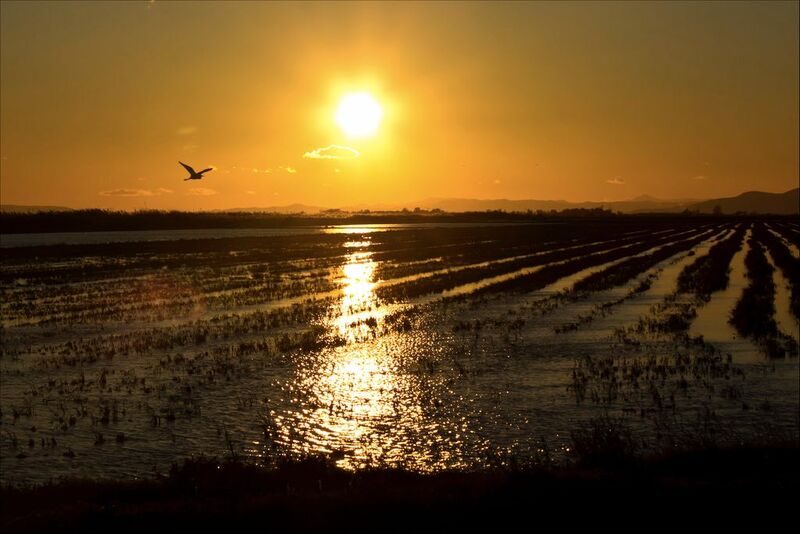 With a rich variety of environments – river, wetlands, lagoons, islands, rice fields and beaches – the Ebro Delta s also home to numerous animals and plants. Just to give you an idea, more than 300 of the total 500 species of birds in Europe can be seen here! This might sound as over-excitement, but how many times do you have the chance to see pink flamingos in the wild, hun? One of the most spectacular sunsets I’ve seen on my life was right here in the Ebro Delta, in Platja del Trabucador. Not only the color palette was stunning, I was also surrounded by rice fields, a huge sandy beach and massive groups of birds flying. How many sunsets have you witnessed like this? One final attraction is the nearby town of Tortosa, standing out the remains of Muslim, Jewish and Christian influences. Together, Tortosa and the Ebro Delta are a relaxing getaway from Barcelona, able to combine history, culture and wild nature in one day. How cool is that? Don’t wait more, find your room in Barcelona today! 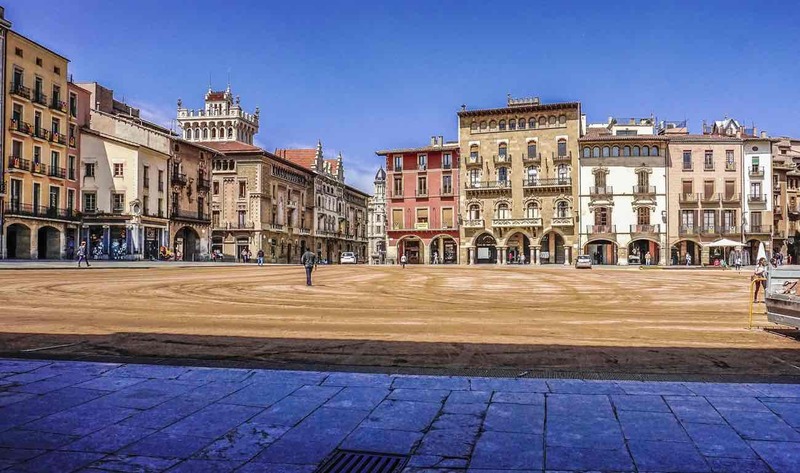 Located inland, just south of Pyrenees, lies Vic, a charming medieval town. Everything seems to revolve around Plaça Major, where you’ll find well-preserved architecture as well as bi-weekly food markets (Tuesdays and Saturdays). If you’re looking for a more off-the-beaten-track destination and an injection of medieval history, this is a great option. Also if you’re around for the medieval fair – usually around November/December, make sure to pay a visit! The official name of this paradisiac beach is Cala Fonda, but it’s mostly known as Waikiki Beach amongst locals. 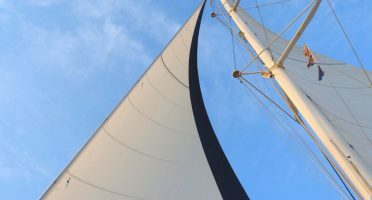 If you’re looking for a true nature getaway but can’t deal with the crowds in Costa Brava, this is a great trip option. Backed up by cliffs, with crystal clear water, enough personal space, and a chill atmosphere makes Waikiki the perfect memorable beach day. Note: there are no bars, shops or restaurants nearby and it requires some hiking. It’s that remote. The best way to get to Waikiki Beach is by car (1h). Drive to a little village called La Mora, in Tarragona, the nearest parking spot. From there, it’s about a 15-min hike. An alternative is to get the Rodalies train to Altafulla – Tamarit (schedules here). From there you’ll have to take a taxi to La Mora beach to start the final hike to Waikiki. 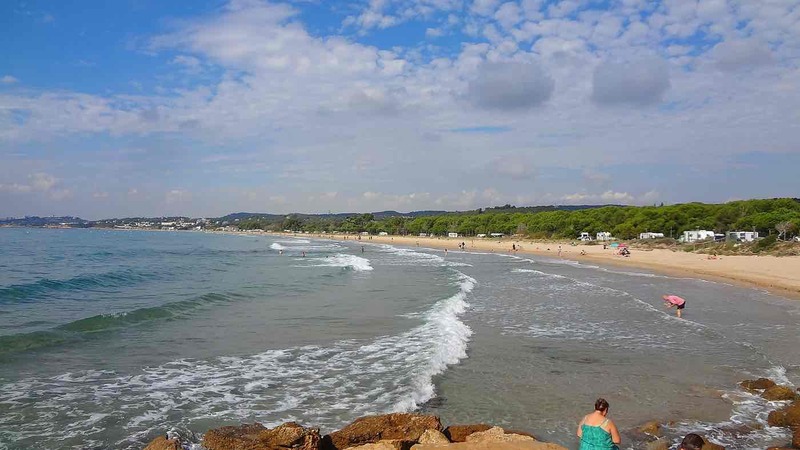 It’s also possible to use a more time-consuming combination of 2 buses (to Tarragona and then to Tamarit) – personally, I don’t think is worth to go for this option for a day trip. How about go skiing for the day? Now for something completely different. A neat thing about Barcelona is that there are all kinds of day trips available. I mean, how cool is that you can go skiing for the day?! A trip to La Molina is a lengthy one – you’ll need to leave early in the morning and come back at the evening to have time in the slopes – but how cool is that you can go skiing in the Pyrenees for the day? You can get to La Molina by car or use the train that departs from Plaça Catalunya (2h30). There is a combo offer called Skitren that includes a return train ticket + bus to the slopes + daily skiing pass available. 41 EUR. More info here. Better value is impossible. How lucky was this watchman? This place might be a bit off the beaten track, but that’s exactly one of the reasons I love it. This small beach town was once a fishing village and today is known for the set of quaint streets leading to a marvelous medieval castle. A climb all the way up along the 14th-century walls is a must. There are super views overlooking the city, the nearby beach and the Mediterranean. 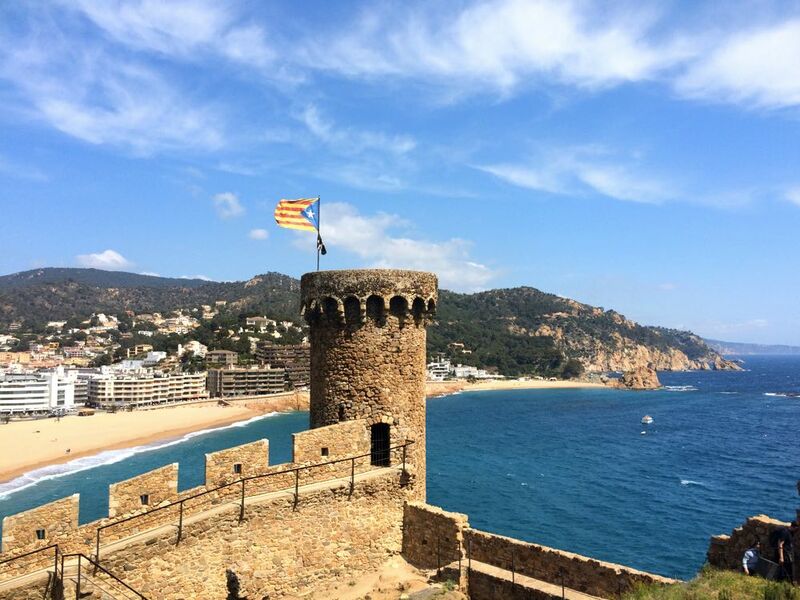 Overall, Tossa de Mar is very relaxed and low key and a beautiful place to unwind. Having your own wheels is the best option to get to Tossa de Mar. You can choose between the coastal road (slower) or the E-15 (faster, with tolls). 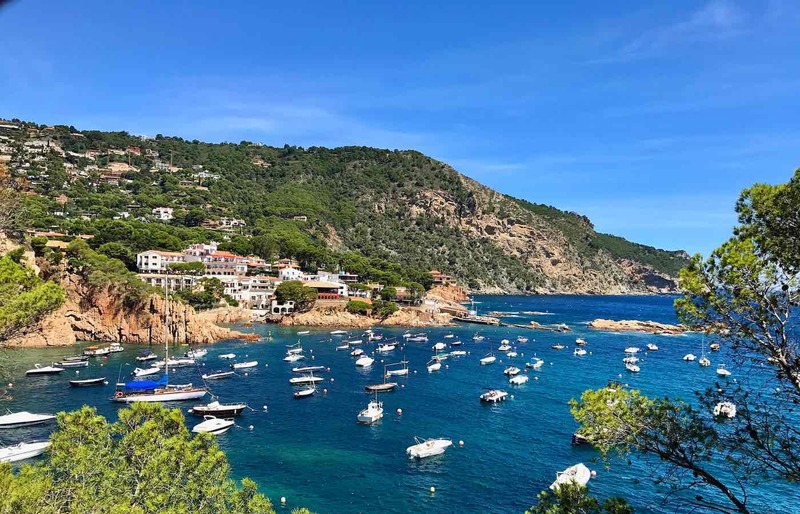 If you are stuck with public transportation, Moventis Sarfa has buses departing every day to several destinations in Costa Brava, including Tossa de Mar. 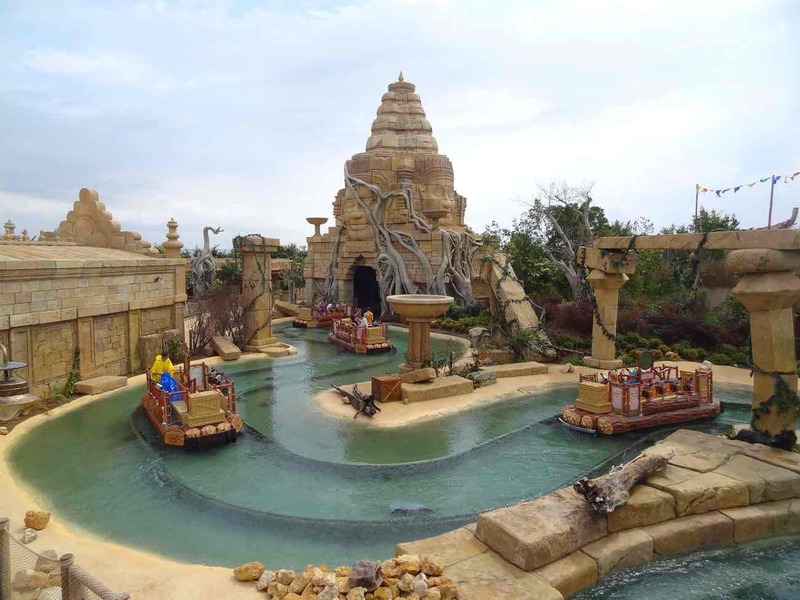 There’s an Angkor Wat in PortAventura. Say whaaat?! PortAventura Park. The classic PortAventura with numerous different adrenaline-inducing rides in different worlds like Mexico or China. Caribe Aquatic Park Perfect for summer trips, featuring swimming pools, several different slides and even give rafting a try! Ferrari Land. The most recent park is a fit for speed-lovers since one of its attractions is the highest and fastest rollercoaster in Europe. If you want to be serious about it, there are combined tickets for 2 or all 3 of the parks. A drive and a train ride take roughly the same amount of time (1h30). The latter is more convenient since you can book the train ticket with PortAventura World park tickets included and get the return journey for free. For more info check this page or directly the train schedules on Rodalies and look for the station PortAventura (right after Tarragona). Buses take slightly longer (up to 2 hours). Picture a huge Benedictine monk monastery standing at the base of an 800-meter-high craggy mountain. Welcome to Montserrat! The surrounding natural beauty around the holiest site of Catalonia inspires many pilgrims or daily travelers to go here year all-year round. Literally translating as Serrated Mountain, its monastery holds a famous Black Madonna statue and is home to choir boy performances at 1 pm each day. Montserrat is also a great place for rock-climbing and hiking. If you up for this, bring a jacket, hiking shoes, and some food. The few places where you can get food up there are not very good and expensive. The largest hiking trail will take you to Sant Jeroni peak, where you will feel on top of the world. Despite being a place not really compatible with my vertigo, it was one of the day trips I enjoyed the most. Definitely a great getaway from busy Barcelona! 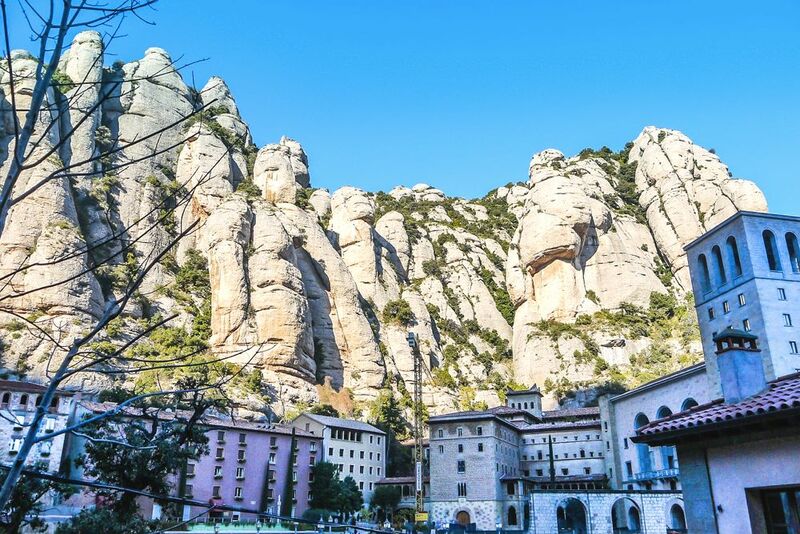 You don’t need an organized tour to go to Montserrat. The journey will be a combination of train + cable car OR train + funicular. In both cases, you will have to Plaça Espanya and hop on a Rodalies Line R5 train to Manresa. When buying your ticket, you will need to specify if you want the Cable Car or the Cremallera funicular version of your Montserrat ticket. These are not interchangeable. 1. Leave at Aeri station and take a scary 5-min cable-car ride to the top. The most spectacular ride. 2. Leave at Cremallera station and take a comfortable 23-min funicular ride to the top. Take this if you’re afraid of heights like me. You can also drive to Montserrat (about an hour trip). You can park at the bottom of the mountain and take the cable car or drive directly to the monastery. 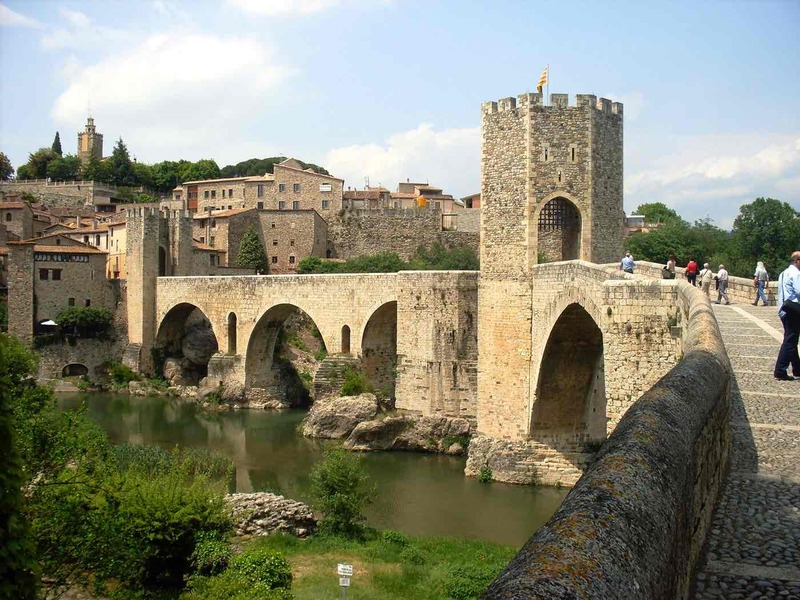 LA Times called it “the most interesting Spanish village you’ve never heard of” and I have to agree Besalú still falls under the category of hidden gems. Once the capital of an independent state with the same name, the historical medieval village now boasts cobbled streets and facades with medieval and Gothic influences. In other words, a haven for history enthusiasts. The highlight is the eye-catchy 12th-century bridge over the Fluvià river. If you can, combine your trip to Besalú with a visit to Castelfollit de la Roca, a tiny village located on the hilltop of a giant cliff (on my bucket list!). Sant Pol de Mar from the castle. If you’re a beach bum and just want a relaxing beach day outside of Barcelona, heading up north the coast there are many different options. 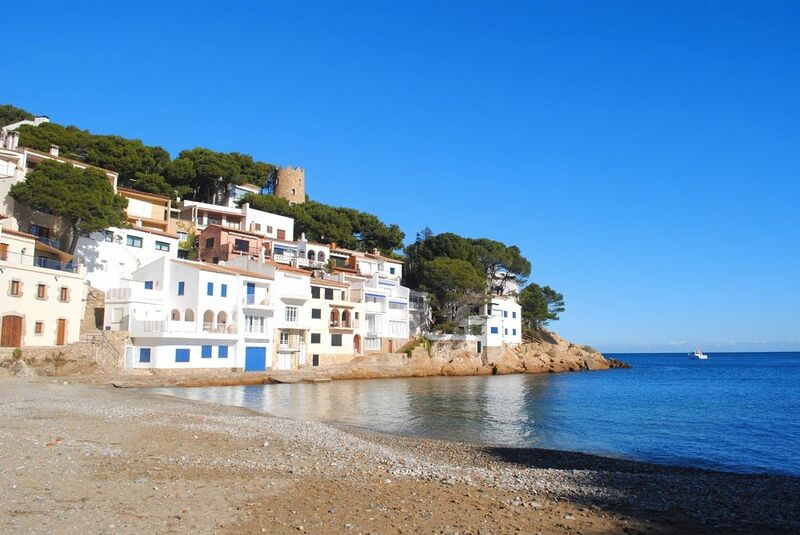 Top quality beaches start at Ocata, but there’s something special about Sant Pol de Mar. A convenient day trip from Barcelona – the train leaves you right at the beach – this seaside town is totally unpretentious, with no fancy beach bars nor high-end restaurants. Expect small streets with local restaurants leading to a strip of white sand and turquoise waters. To grab something to eat and make your day a tremendous success, head to a chiringuito (beach bar) Banys Lluís, with different options on seafood and paella. The Rodalies R1 train to Sant Pol de Mar takes about 1h20 from the main stations in Barcelona – Sants, Plaça Catalunya or Arc de Triomf. Potential for many “what the hell” moments here. This town very close to the border with France is the birthplace of Salvador Dalí and home to Dali Theatre and Museum. Once a theater, his building was converted a museum by Dalí himself. 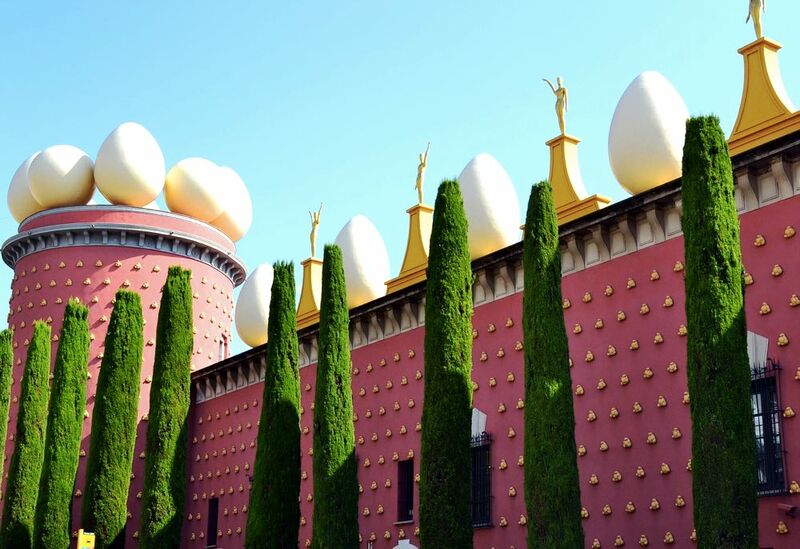 It holds many pieces from his personal collection and the building itself is as quirky as Dalí’s style. I mean, who thinks of bright pink walls with giant eggs on top?! If you are into art, this is a must-go! You can comfortably take the train to Figueres from the main stations in Barcelona – Sants and Passeig de Grácia. Expect about an hour ride in the faster AVE or AVANT trains. Driving takes about the same time. 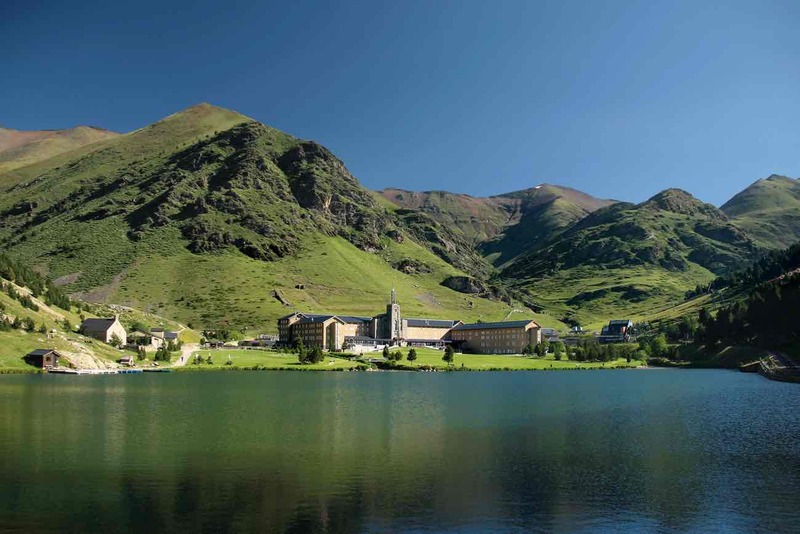 A peaceful hiking paradise in summer and a ski resort with 11 pistes in winter, Vall de Núria is worth a trip during all seasons of the year. This glacial valley in the Pyrenees stands at an altitude of almost 2km but it’s surrounded by mountains 1km higher. The variety of animals and plants – including marmots and deer – is incredible. There’s no higher contrast to the buzz of Barcelona. If you’re an avid nature hiker or just seeking for a nature getaway, it doesn’t get better than this. Car access to Vall de Núria is not permitted. You can get to Vall de Nuria using the direct line Rodalies R3 from Plaça Catalunya to Ribes de Freser. There you’ll take the Ribes Enllac (kind of a mountain rack railway) to finally reach Vall de Núria. The whole trip takes about 2 hours and there’s a combined return ticket costing 30 EUR. 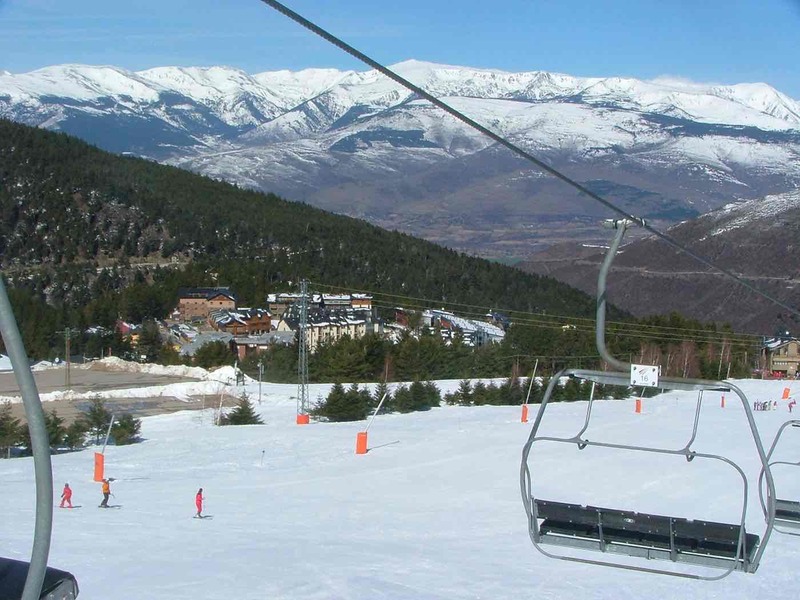 Similar to La Molina, during winter time, there is a combo offer called Skitren that also includes a daily skiing pass. More info here. Fancy a trip back to Roman times? Just a bit over an hour south of Barcelona by train lies this beautiful coastal town, known for its Roman remains and top-notch sandy beaches. I actually haven’t been to Tarragona yet (I know, shame on me) but this place is in my most immediate Spanish bucket list. Tarraco was the first and oldest Roman settlement on the Iberian Peninsula. Today, the archaeological ensemble is an UNESCO World Heritage Site and boasts one of the best preserved Roman amphitheaters in the world. Bonus points for overlooking the sea! 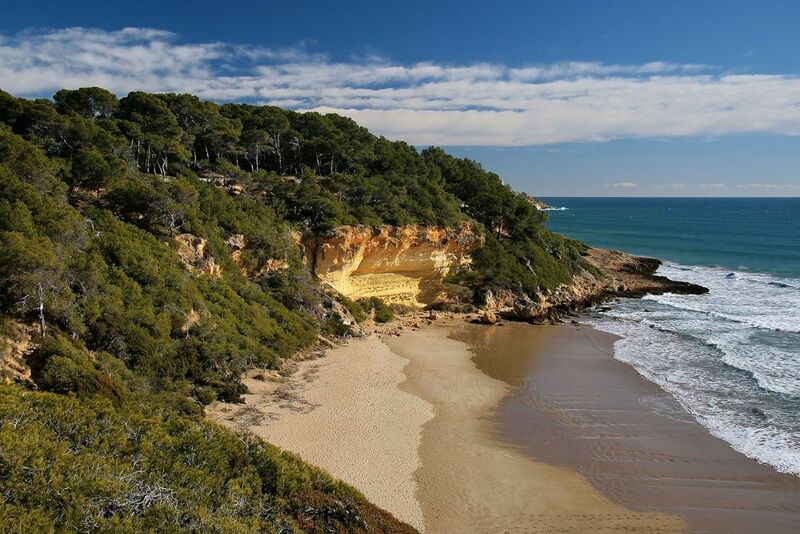 Apart from its outstanding historical value, Tarragona‘s 15km of coast – known as Golden Coast – is home to inumerous bays, coves and sandy beaches worth a trip by itself. Two of the most hyped are Platja Larga and Cala Fonda. By far the most convenient option to get to Tarragona is by using the train (1h30). Due to the winding roads, driving can take you more than 2 hours so it’s not as convenient. Trains run several times per day. Check Rodalies website for up-to-date schedules. 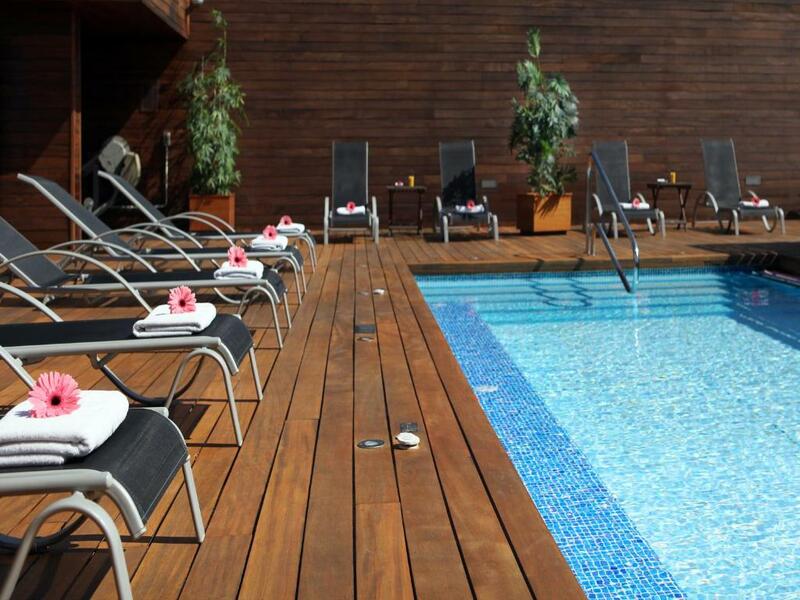 Got a place to stay in Barcelona already? Sa Tuna beach @ Begur. Now THAT’S a sea view. Until recently, this town was better known from people living and work in Barcelona than for tourists. Know more and more travelers are uncovering the hidden gem of this province. Despite the charming historic center and the views from the castle, the highlight of Begur is on its coast. Like in all Costa Brava, the coast of Begur is filled with small bays and coves with pebble beaches and transparent waters. Places like Aiguablava, Aiguafreda and Platja Fonda get crowded really quickly during summertime, but are very worth it. Begur and in particular Aiguablava is one of the best places you can choose to stay the night in Costa Brava. My recommendation is this parador with GORGEOUS views to the Mediterranean. It’s in the area where the first photo in this article was taken. Modern design and literally on top of the beach and not too expensive. This is great value! 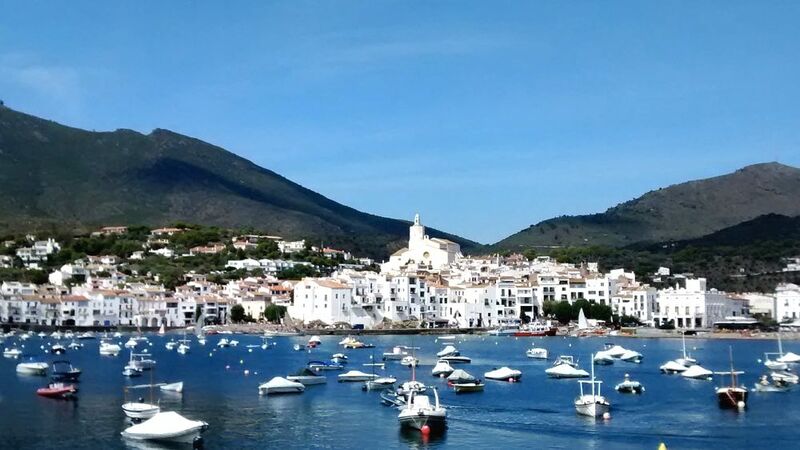 Cadaqués, very close to the French border. Not going to lie. This tiny fishing village close to the border with France makes a long day trip from Barcelona. But the quaint and ethereal vibe of the place is so interesting and different from everything else in Catalonia that is worth a visit. This village was actually an inspirational muse for Salvador Dalí. Maybe it will be yours too? The most convenient way to get to Cadaqués is by car (2h40). Moventis (link in Spanish) has a bus departing 4 times per day to Cadaqués from Barcelona. Takes about the same as the car. There’s also another lengthy option: getting a train to Figueres and then hop on a Teisa bus to Cadaqués. I don’t recommend this, but if you’re interested, this website explains it step by step. I’ll close with the closest destination to Barcelona. Some might not even consider this a day trip, but I think there’s enough to see and do to make you entertained for a full day. Collserola Park stretches over an area of 8,000 hectares and is one of the “green lungs” of Barcelona. To put in perspective, this 22 (!) times bigger than Central Park. It’s the place locals go for a bit of fresh air while hiking, biking, running or see the stars at the Fabra Astronomy Observatory. The highest point of Collserola mountain range is Tibidabo. A weird mix of an amusement park and a cathedral on top which somehow works. But this place is most famous for having what I consider to be one of the most epic views of Barcelona. And going to a viewpoint in Barcelona is one of the must-do activities in the city. Most visitors go on a three-leg journey of train + tram + blue funicular (Tramvia Blau) to get to the top of Tibidabo from the center of Barcelona. The thing is 1) it’s crowded 2) the blue funicular raises some safety concerns 3) it’s expensive. A much easier option is to take the T2A bus that goes directly from Plaça Catalunya (corner with Rambla Catalunya) to the top of Tibidabo. This is actually a bus run by the amusement park, but everyone can use it. The bus departs daily roughly every 20 minutes up from 10 am up until 30 minutes after the park closes, but only runs on weekends during winter months. Barcelona has it all. Add a buzzing city center with lots to do to a huge coastline full of beaches and you have the perfect urban setting. The reality is though, the beaches in the center are not that good. In fact, Barceloneta beach can actually be extremely disappointing. You’ll need to go away from the city to escape the crowds and find beaches that properly honor the Mediterranean bliss. El Codolar Beach (Tossa de Mar). Definitely an improvement from Barceloneta. Going north of Barcelona you will find top-notch beach destinations with crystal clear waters in places like Costa Brava. As a rule of thumb, the farther north you go from Barcelona, the cleaner the sea but also the smaller the beaches. Personally, the first decent beach going north is Badalona, but I usually go for beaches after Ocata. Platja Larga (Tarragona). Southern beaches are usually much less crowded than the ones up north Barcelona. 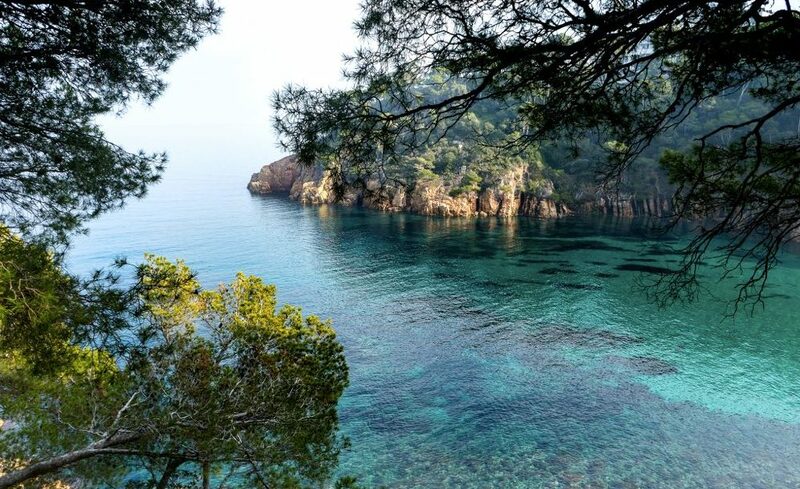 Costa Brava is undeniably Catalonia‘s most famous coast with locals, day trippers and tourists. Things can get a bit crowded in the summer. Still, in the south, places like Casteldefells, Sitges and the entire Costa Dorada shouldn’t be discounted as they usually are less packed. Stretching all the way down to Valencia, you can find more than 40 blue-flagged beaches with shallow warm waters, mixed between huge sand stretches and small rocky bays. The public transport in Barcelona and around is easily one of the best urban systems in the world, you can go to lots of places without the need to drive. However, any day trip will be more convenient if you rent a car and specifically the beaches are only accessible by car. On my last trip out of Barcelona, I used Drivy, that allows you to rent cars from normal people. You can even unlock the car with your phone!  Here’s some money for you to try it out. If you prefer a traditional car hire company, try to book your car as soon as possible – it can save you loads of money. I always use this awesome tool to compare rental prices. 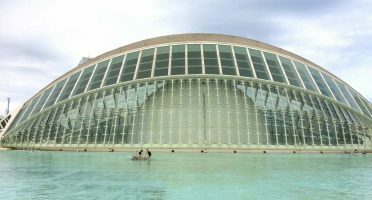 Day Trips from Barcelona: A Lot To Choose From! Barcelona might have many attractions for travelers, but as you can see, there are at least as many things to see outside the city. It all comes down to whether you are seeking beach time, history or a nature destination (or all-in-one!). In total, I’ve listed more than 30 places on this article, more than a full month of travel. And still, I’m sure I just scratched the surface of all the places to go in Catalonia.. Remember to use this map to help you plan out everything! The best rooms in Barcelona fly quickly, book yours today! 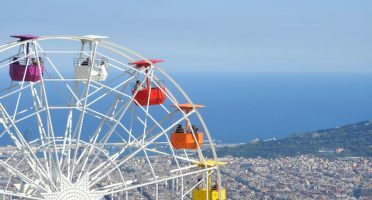 Which tourist attractions in Barcelona are worth it? Which other suggestions of day trips from Barcelona do you have?